The simple act of posting, liking or sharing on social media platforms like Facebook, Twitter, Pinterest or Instagram triggers the release of an important neurotransmitter, Dopamine in our brains. This neurotransmitter is linked to our internal reward system and is responsible for feelings such as happiness and excitement. Much like a hit of Cocaine, each click retriggers this neural pathway and the behaviour becomes addictive, although to a lesser extent. It makes sense then why so many people around the world are spending more and more time engaging in social media. While some may view this as a stretch, Dr. Howard Shaffer, an addictions specialist at Harvard Medical School, has suggested that we move away from the idea that addiction is a property of a particular drug or activity. All pleasing activities tend to activate the same reward circuits in the brain. So when does social media actually become a formal addiction? Because social media is so normalised, it is very hard to identify when it becomes an addiction. Many people do not want to stop using it due to social pressures, or they simply don’t see any harm in it when in comparison to substance addictions. An addiction is any compulsive behaviour or act which is repeated despite having negative consequences. Social media addiction is marked by media cravings, which, according to a recent study by researchers at Chicago University, are more powerful than alcohol and drug cravings. It becomes a real problem when the time spent on social media interferes with daily activities. Soon, responsibilities fall by the wayside and all other aspects of life become less important than updating your status! Central to social media obsession is the constant need to feel validated or affirmed. Social validation is after-all a fundamental part of being human. A simple Facebook ‘Like’, Instagram ‘Love’ or a Twitter ‘Favourite’ sends us a strong social signal that ultimately makes us feel good and validated and that our lives are “OK”. That validation forms a repetitive behaviour that could be considered addictive. We exist in a ‘self-centred’ society that propels us to constantly update our status and tag our-selves and our-friends in images that iconify only the seemingly “perfect” aspects of our lives, all this in order to project an image that attracts social validation or “fitting in” or “normality”. These idillic lifestyles, relationships, marriages, bodies, friend groups, families and the projections of our social spheres are unfortunately also influenced by their self-centred selections and the artificial dreamscapes created by tainted algorithms, mainstream media and socially engineered product marketing. Social media addiction to validation also includes the polar opposite of this “look at my perfect life” scenario. The “don’t look at my life” scenario permits many social media addicts to fly under the radar by avoiding their own stream updates all-together. Not “fitting in” within the perceived “happy norms” of their friend circles. With anti-social / boring lives, viewpoints they avoid posting updates that would upset the balanced “perception” that their lives are anything less than perfect. These social media addicts may vicariously trawl the streams of their social circles imagining themselves one day “living the dream” and able to make the epic status updates of their friend circles. This leads to more reclusive behaviour, isolation and loneliness. As a result, people who spend too much time online could experience higher levels of anxiety and depression as their lives are not playing out within the ever evolving “norms” depicted in their social media streams. Many recent studies provide evidence for a link between social media obsession and depression among youth. A study appearing in Social Science & Medicine (June 2017) states that 44% of young adults in the US experience problematic social media use (PSMU), and the PSMU is strongly correlated to depressive symptoms. This was further supported by a study in the Depression and Anxiety journal which reported that social media use was associated with higher rates of depression. The Journal of Adolescent Health went on to say that there is a clear link between depressive symptoms and a negative Facebook experience. With all this evidence, it is difficult to ignore the irony that the very tools which are being used to connect us are causing a chronic disconnect manifested by a host of problems such as social anxiety disorder and depression. 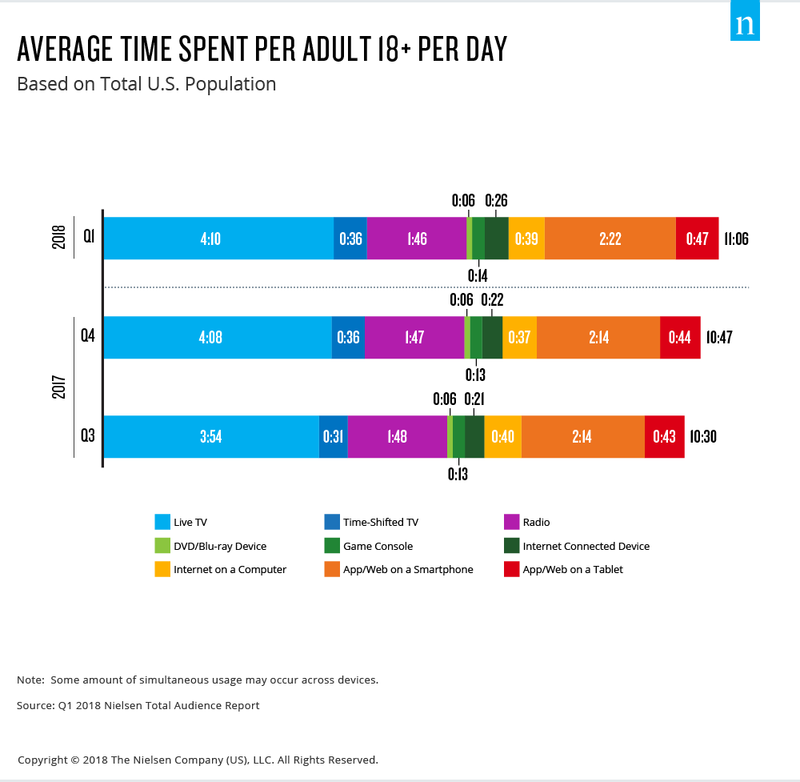 Some people use 7-10 media platforms a day and spend nine hours online. This sets them up for a scenario where they are constantly comparing themselves to others and feeling inadequate. Once again, these emotions are heavily linked to mental health issues like depression. Another driver of social media addiction is FOMO (or the fear of missing out). Individuals are obsessed with keeping track of what is going on in other people’s lives so that they can vicariously live through them, never feel out the loop and socially evaluate themselves according to what they observe. Escapism is a far greater problem that we are facing everyday. People lose their minds in the perfect worlds shown in the movies, and they forget how to leave their imagination on the screen and come back to the real world, when the season is over. Our generation has the gifts of a global community that is closer and more interactive. But with a shorter attention span, and a weaker mind. There isn’t enough of brain cells in our head to comprehend the information explosion out there. Our attention spans are shrinking by the minute, our ability to focus on one thing at one time is deteriorating, and our real lives are getting much much more messier, as we escape into imaginary worlds. Social media obsession is also implicated in cyber bullying. This is because social media has to filter and people can get away with saying almost anything. The more time spent online, the more opportunity opens up to judge and bully others. The lack of clear consequences makes cyber-bullying possible. Mental health professionals have regarded it as having similar consequences to offline bullying on a deep, psychological level. What platforms are the most commonly used? In a study done by Psychologists at Nottingham Trent University, they found that Facebook, Twitter, Snapchat, Instagram, LinkedIn, YouTube and Tumblr were all used by participants, with Facebook being the most widely used (99% of participants) followed by Instagram (72%). Do you spend increasing amounts of time thinking about what is happening on social media or using social media? Do you feel the need to use social media more and more? Do you use social media to disengage from problems you might have in other areas of your life? Do you attempt a digital detox but find that it fails? Do you feel yourself becoming restless or agitated if you cannot access social media? Do you engage in social media to the extent that it has a detrimental effect on your relationships, work or studies? James Roberts, PhD, a professor at Baylor University suggests the identification format for problematic social media addictions should include Salience, Tolerance, Euphoria, Withdrawal, Relapse and Conflict are the core warning signs of social media addictions. If you answered yes to all of these questions, you may be a social media addict or on your way to developing a social media addiction. Digital detox refers to a period of time during which a person refrains from using electronic connecting devices such as smartphones and computers. It is regarded as an opportunity to reduce stress, focus more on social interaction and connection with nature in the physical world. Limit checking time to only three times a day. By following the steps listed above, you open up space for the other areas of your life to develop and flourish. Many activities, relationships and pastimes which were once important to you may have become lost by the toll social media has taken on your life. It is only through the conscious reduction of your online use that you will be able to give attention to the things that are needed to live a full and balanced life. For help on how to overcome your social media addiction, call the number at the top of this page.